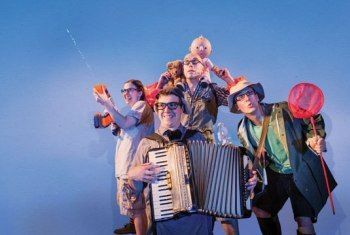 Directed by Sally Cookson with a lively score by Benji Bower, join a group of intrepid adventurers on their quest to find a bear; as they wade through the gigantic swishy swashy grass, the splishy splashy river and the thick oozy, squelchy mud! Suitable for pre and primary school children, expect catchy songs, interactive scenes and plenty of hands-on adventure - plus a few special surprises! We’re Going On A Bear Hunt is at St George’s Hall on Monday 1 and Tuesday 2 February 2016.